Black pepper and salt has been America's favorite seasoning staple since forever. A.1. goes a step further and gets them peppers smoky before blending them to a tomato-based sauce, another national favorite! The bite from peppers, tang from tomatoes and other flavorsome ingredients like garlic, onion and crushed orange puree all team up to develop a sauce that is meant to be the best!Being Basic Is Not Always BadAlthough black pepper is the most common spice used for seasoning, but what makes the difference is the way it is used. 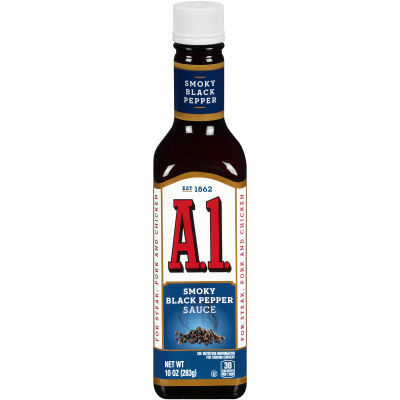 A.1. Sauce knows how to use their peppers to make you cherish every drop of your sauce!